Today I would like to share my shopping experiences with you. BUT from the perspective, which is not connected so much with buying&finding cool things (or the material side), just to give you an overview how the Finnish shopping malls look like. And how do they make me feel. Firstly, it is important to note that I am not an expert shopper, a woman, who knows everything about fashion and follows the latest trends. 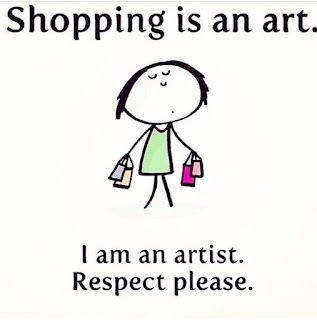 I go shopping when I need to buy something specific, something which is needed. Also, I visit shopping centers for meeting purposes, they usually have great restaurants & cafeterias. I have been honored to visit various shopping centeres around the world, all sepcial in their own way. Most expressive examples are in Dubai (ex. The Dubai Mall). Therefore in Finland, I have felt very strange feelings while visiting certain centres. Therefore, now when I moved to Espoo, I have experienced another shopping centre- Iso Omena. It has over 200 fashion, leisure, interior design shops. Moreover they have connected private and public services into the centre (library and a healt care centre). My respect! Especially for an idea, to add library into shopping centre. Few days ago, I visited the library...I was positively surprised! Youngsters have their own room in their, where is ex. billiard board. It provides a special space, where young people can integrate and communicate, also to read books. Wow, it is truly nice concept! Therefore, some teenagers have not found their way their and they still enjoy being around. My partner even told me that there was a news that teenagers are chasing each other in the grocery shops, while destroying products. How is it possible? Go in the nature, there is much more space, besides that fresh air, which will only do good. However, I need to admit that overall it is still more peaceful place, where to be, compared to Valkea. Therefore, my small mind still do not understand, why teenagers like to hang out in the shopping centres? Are you really so bored? I totally get the point, if you meet your friends, go shopping, or to the cinema, or visit cafeterias & restaurants. But just hanging out, without any meaningul reason...it just do not fit into my mind :( Moreover, I do not get the point or meaning of shopping centres, what is their purpose? I respect that all the sellers speak English, and are very polite and caring towards the customers, but overall situation may require some changes...If it continues like that, I totally understand people, who have chosen e-shopping, besides visiting shops physically. It is just not pleasant and enjoyable. From the educational perspective, we educators should guide our students to find meaningful activities, which truly has some purpose and gives some value to their lives. These two shopping centres are just examples..of course I have visited many other places as well. And I need to admit that the situation is quite same...some places have more multicultural guys hanging around, and some more teenagers. For me, shopping in Finland is enjoyable only with my partner or with my friends, because then I really feel comfortable.